I scream, you scream, we all scream for… gelato? Not what you were expecting? Well, it might be time to reconsider your go-to frozen dessert. If you hear the word gelato and assume it’s just a fancy word for ice cream, you are missing out on a whole other level of creamy goodness. While they are both cold, offered in a variety of flavours, and delicious, ice cream and gelato are entirely different. Read on to get the scoop on all the reasons you should scream for gelato. Simply put, gelato is Italian ice cream. It mirrors the ingredients used in American ice cream, but the proportions are different. Although frozen desserts have roots dating back thousands of years, they first appeared in Italy as a result of a Roman tradition. It was not until the 1500’s that gelato was created in its modern form by Bernardo Bontalenti. In preparing a feast for the King of Spain, Bontalenti created a creamy frozen dessert — gelato — that quickly spread in popularity throughout Europe and has been a beloved treat ever since. Let’s take a look at the four main differences between gelato and ice cream. Churning Process and Air Content – One of the main differences between gelato and ice cream is the lack of air that gets incorporated into the mix during the churning process. Because gelato is churned at a lower rate and in smaller batches, less air is incorporated and the result is a denser texture. Whereas ice cream can be comprised of upwards of 50% air (or sometimes even more), gelato traditionally ranges between 20 and 35% air. Less air in the finished product creates a smoother, silkier result. Ingredients – While both contain milk, sugar, and cream, ice cream typical uses more heavy cream. On the other hand, gelato uses more milk than cream. Gelato also has a far lower percentage of butterfat than found in ice cream, coming in around 4 to 8% compared to 14% in ice cream. This seems contradictory since gelato manages to taste so much creamier despite having less fat. Finally, gelato’s sugar content is closely regulated and balanced with its water content. So along with acting as a sweetener, it also serves as a sort of anti-freeze to keep the mixture creamy and indulgent. Serving Method – Authentic Italian gelato is served at a slightly warmer temperature — about 10 to 15 degrees — than ice cream. This allows the texture of gelato to stay softer and silkier and also enhances the flavour’s intensity. Flavour Impact – When it comes to flavour, ice cream is no match for gelato. If you have had the pleasure of comparing chocolate ice cream to chocolate gelato, you probably realised how much stronger the chocolate flavour came through with the gelato. This bolder taste is likely a result of gelato’s lower fat content. 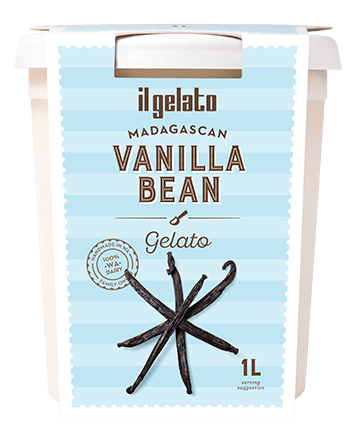 Since the flavours are not as diluted as ice cream, gelato has a cleaner, richer impact. Is Gelato Healthier Than Ice Cream? Something that is healthier and tastes better? Although this probably sounds too good to be true, gelato checks both of these boxes. Generally, gelato has fewer calories and less fat than ice cream. How can gelato and ice cream be so nutritionally different when they use basically the same ingredients? It’s all about proportions. Ice cream relies on higher amounts of milk fat (14 to 17 percent compared to just 3 to 8 percent in gelato) due to its higher content of heavy cream. This results in ice cream having a higher overall fat and calorie content than gelato which relies on milk instead of heavy cream. Because of the slower churning process used to make gelato, it results in less air getting incorporated. So rather than the fluffy, light, airy texture of ice cream, you get a denser, richer finished product. This means if you weighed two equally sized scoops of ice cream and gelato, the gelato would be heavier. In essence, this means you are getting more creamy, frozen goodness packed into each bite of gelato. This may make it easier to be satisfied with a smaller portion of gelato than ice cream, meaning you take in even fewer calories. Gelato definitely gives you more bang for your buck. With more people realising the potential for gelato to be a healthier option than ice cream, interest in this frozen Italian treat is skyrocketing. This craze has even caught the attention of industry giants such as Breyers and Häagen-Dazs, spurring them to create their own gelato offerings. Does This Mean You Can Consume Gelato Every Meal? Indulge here and there, but eat plenty of healthy foods like fruit, vegetables and whole grains. By following a balanced diet, you can have the best of both worlds. According to the The National Heart Foundation of Australia, focussing on eating patterns that are high in wholegrains, fruits and vegetables (and low in sodium), is likely to have a bigger impact on heart disease in Australia than policies that just target individual nutrients like sugar and fat. What are your thoughts on gelato vs ice cream? Do you prefer one over the other? 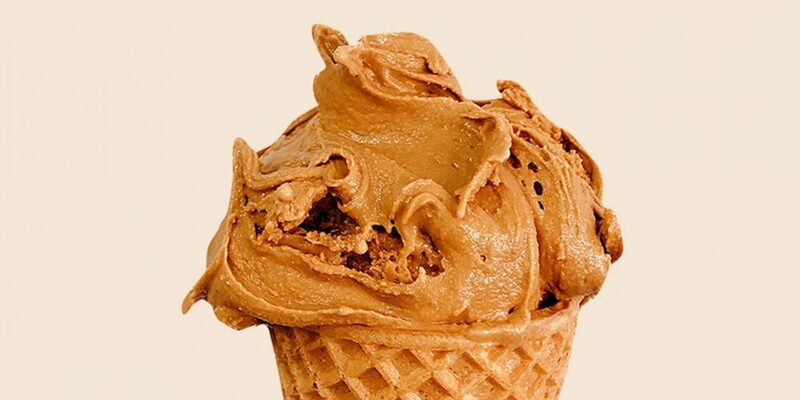 Roasted Hazelnut Milk Chocolate – We liken this flavour to a Ferrero Rocher in gelato form!